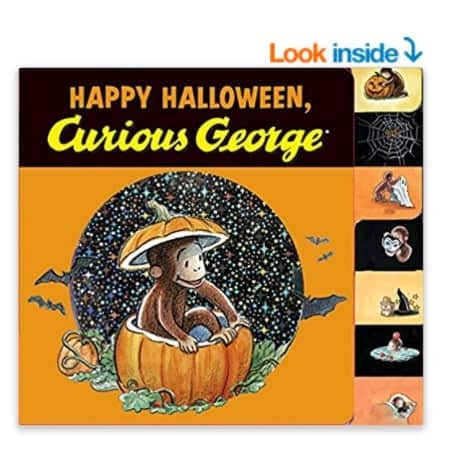 The Happy Halloween, Curious George tabbed board book is on sale for $2.86 at Amazon right now. That's 64% off the list price of $7.99! Halloween is here, and Curious George is getting ready for the big night. There are so many costumes to try on, treats to share, and games to play! George has so much Halloween fun picking out the perfect pumpkin, decorating his house, and celebrating with his friends that he’s not sure he’s ready for the day to end. Follow the little monkey through his fun-filled day with this book of poems. Happy Halloween, Curious George is a sweet treat to help Curious George fans of all ages get in the Halloween spirit. !